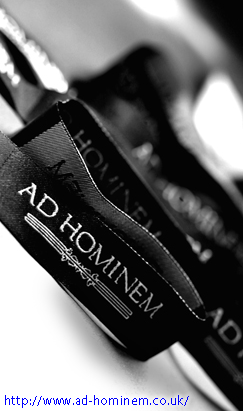 Ad Hominem (very much like "argumentum ad personam" which is typically used in the context of a debate) is a well-known Latin term, particularily in various political, psychiatric, and scientific industries, that means "against the person" (for "person" the literal word "man" is used, although the intended meaning is "person"). When someone who makes or refutes a claim is attacked on a personal level, this is called an Ad Hominem. Attackers usually resort to using Ad Hominems when they feel that they can't protect their position in a reasonable or logical way. Personal attacks have no merit because facts or lies that are not relevant serve no useful purpose in making or refuting a claim, and are often an attempt at manipulating others into unfairly questioning the presenter's credibility instead of their arguments. "You don't have any experience actually doing XYZ, so you aren't really an expert in this field." "You work in a related field, so your claim is obviously biased." "You're a police officer, so you've been conditioned to automatically assume that all people are criminals." "Your lack of credentials makes it impossible for anyone to take you seriously on this topic." Often times an Ad Hominem attack may seem to have a "ring of truth" to it because it's structured with what appears, on the surface, to be a logical argument. Including facts in an argument improves the perceived credibility of that argument as long as the audience doesn't notice when the facts are not relevant. Although it is a common assumption that to be an expert in a given subject one must have at least some first-hand experience in that subject, this isn't neccessarily correct. For example, many psychiatrists and psychologists who have expertise in human suffering, without actually having directly experienced any suffering themselves, are effective in helping (or treating) their patients. Morals, professions, wages, education levels and qualifications, guilt by association, and many other personal factors are often the main focus of these attacks. The ability to consider a claim objectively, regardless of who presented it, is an important aspect of understanding it. One of the primary reasons that Ad Hominem attacks can be so effective in a group/public context (e.g., public discussion forums, television news commentary, political debates, etc.) is that biases can interfere with objectivity, even on very subtle levels.